Did you know that The Virgin Mary has appeared on the cover of Time magazine more than any other woman, EVER? 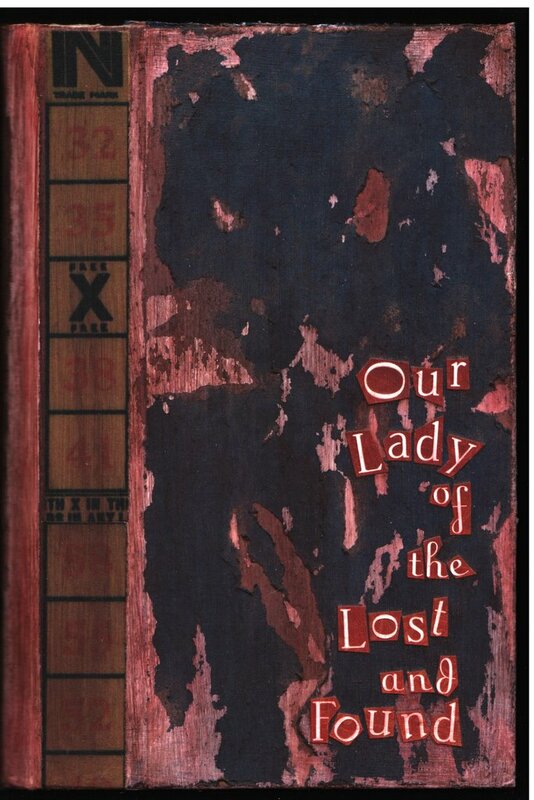 I found that fascinating - and it inspired me to create my first Altered Book - Our Lady Of The Lost and Found. 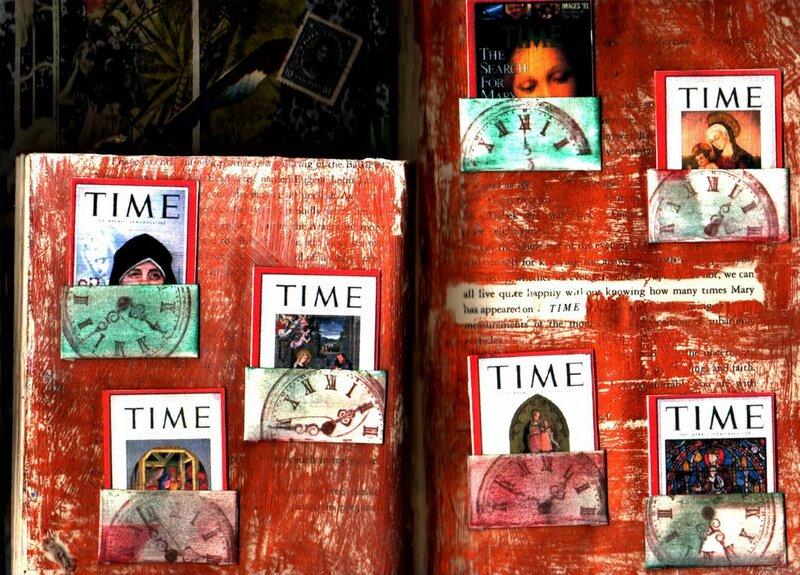 On the page(s) I have pictured here I created tiny Time magazine's, each with an image of The Virgin Mary on the cover. I've slipped them into little sleeve's that have a clock face (Time!) stamped on them.